A Tranquil Haven. Dotted with lakes, rivers, mountains and caves, the picturesque city of Guilin provides a peaceful respite from the rest of fast-paced modern China, and is certain to leave you feeling relaxed and refreshed. Arrive in Guilin and be met by a guide. Transfer to your hotel in Guilin for 3 nights. Private half-day city tour to the Fubo Hill, Reed Flute Cave. Visit Fubo Hill where you’ll see historical stone carvings from the Tang dynasty with Buddhist inscriptions. 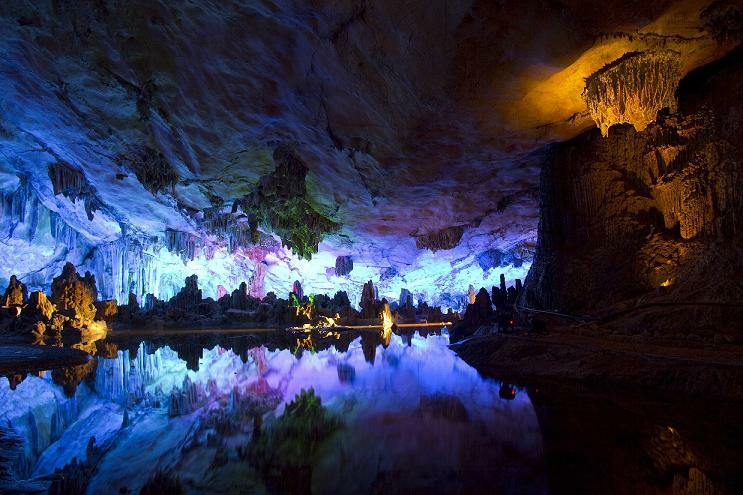 Travel on to Reed Flute Cave; an impressive limestone cave where you can see stunning stalactite and stalagmite formations illuminated by colourful displays.